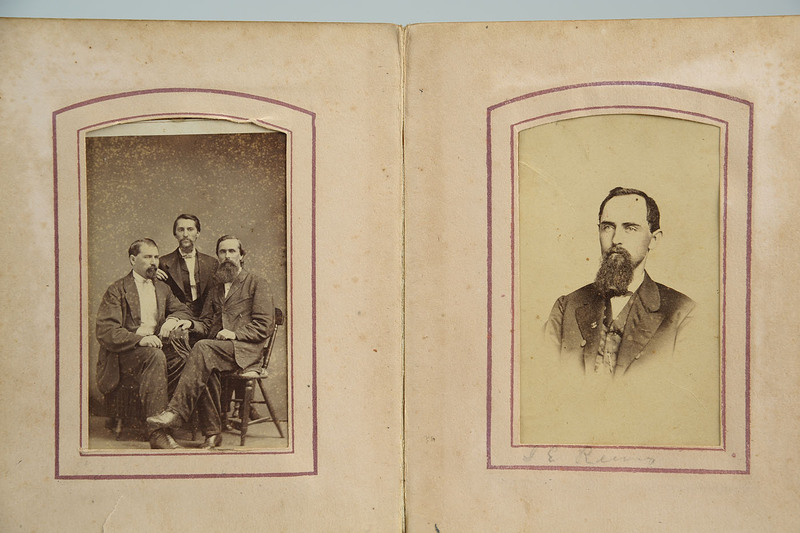 Carte de visite album containing an image of William Raine Peck (1818 – 1871), a wealthy planter, politician and Confederate General in the Civil War. 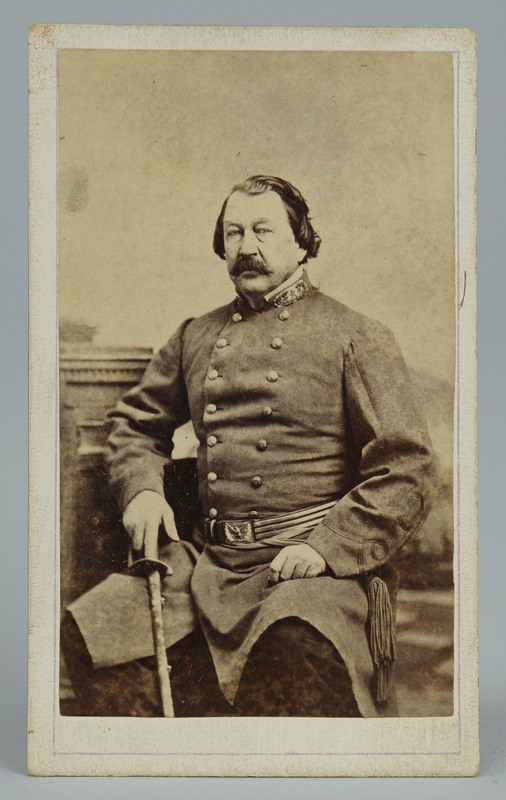 In this CDV, Peck is shown seated wearing his Confederate General's uniform and holding his sword. 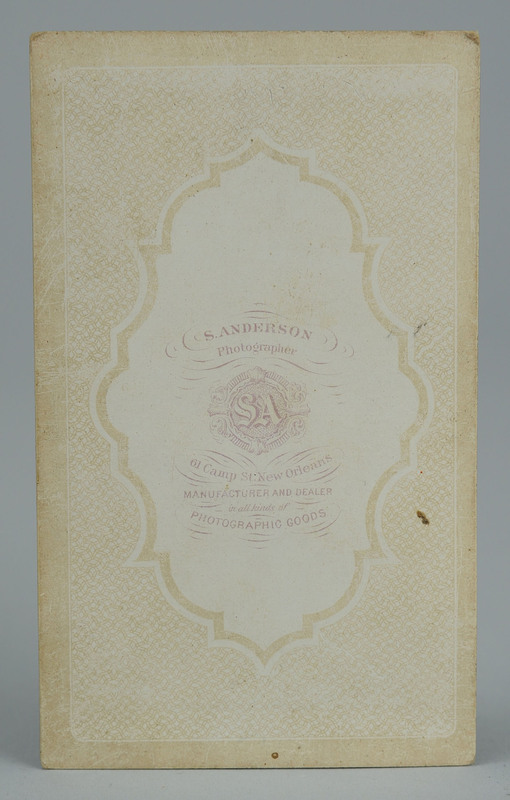 Album contains additional CDV's including his elder brother Dr. Isham Talbot Peck and other relatives including the Rhoten's with numerous images of children, including his nieces and nephews. Biography: William Raine Peck was born in the Mossy Creek area located in Jefferson County, Tennessee. 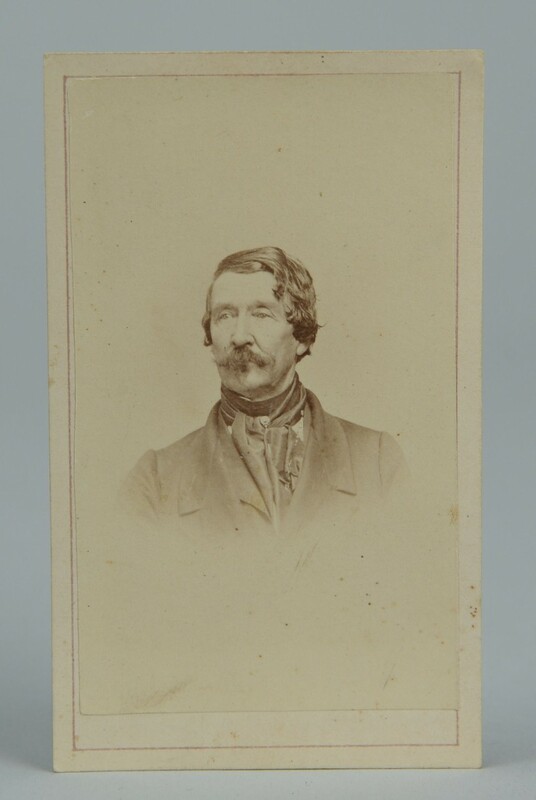 His family moved to Louisiana in the 1840s. Peck eventually became a wealthy planter in the Madison Parish, was involved in local politics and built a mansion named "The Mountain". 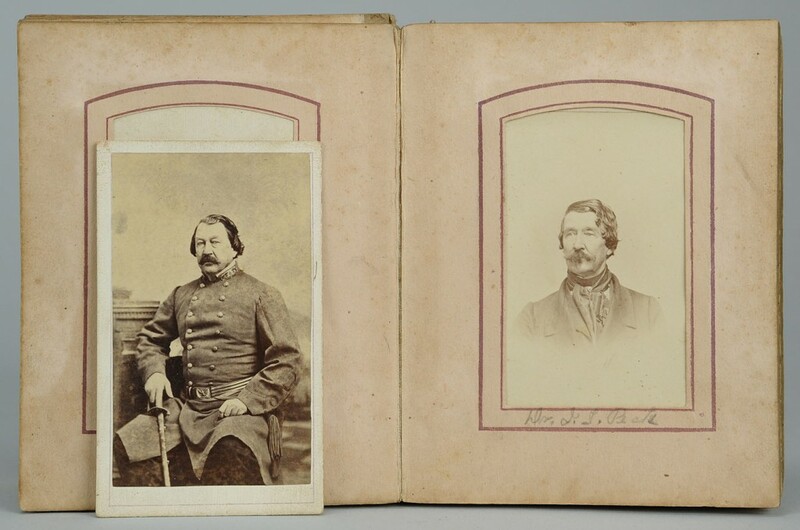 Peck enlisted as a private in the 9th Louisiana Infantry in 1861 and eventually rose to the rank of Brigadeer General. Peck commanded the the famed Louisiana Tigers and was among the largest Confederate generals standing at 6' 6" tall and weighing 330 pounds. His size earned him the nickname "Big Peck". 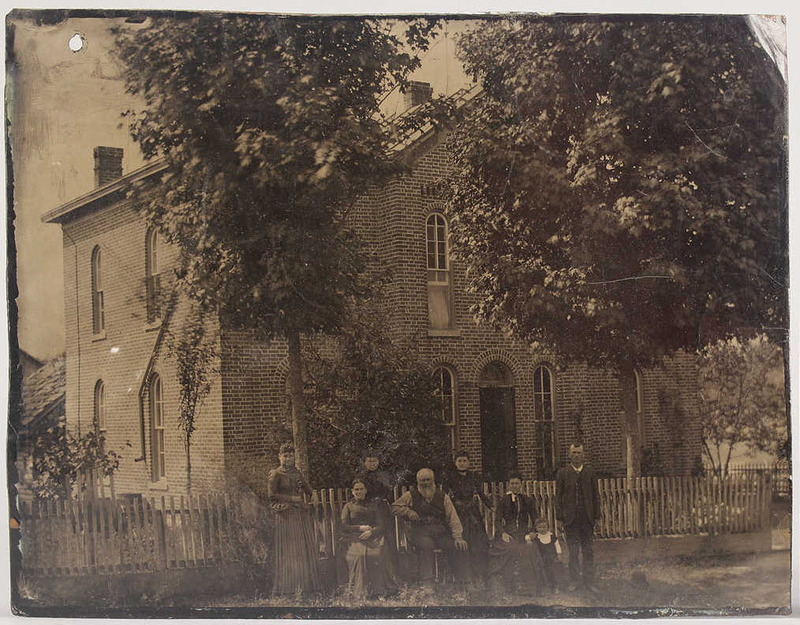 2ND ITEM: Unframed tintype of family posing in front of their substantial brick home. 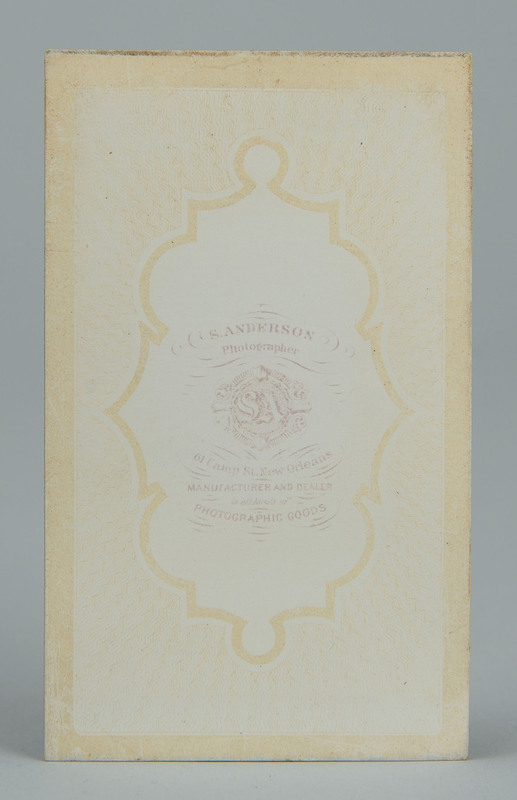 Possibly Jefferson County, TN related. Inscribed " E P Russel? and Frank Peck?) en verso. Unframed. 6 6/8" H x 8 5/8" W. Condition: Missing front and back cover. Album has been split into two halves. Some pages blank.